For the sixth month of the New Band feature, I selected New Orleans jazz maestro, Dr. John (read my initial thoughts here). Did his music get me ready for Nahleans? I’ve always found jazz* music the hardest to get into, largely because it eschews the easy entry points that most pop music has. It’s not music designed for the easy hook or the pulsing rhythm that gets stuck in your head for days. At the same time, the improvisational nature of the style means that it rarely rewards repeat listeners in the particular way that intricately orchestrated music like classical or even (for personal reference) Radiohead might. That is not to say that jazz can’t be catchy or, conversely, complex, only that when it does either it does it in a very unique way that requires an ear prepared to meet the music on its own terms. I write all of that as a way of expressing how I’ve come to the music of Dr. John this month. I’ve listened to my share of Miles Davis and John Coltrane, and while I’ve appreciated the work, I can’t say I’ve ever found myself particularly drawn in. 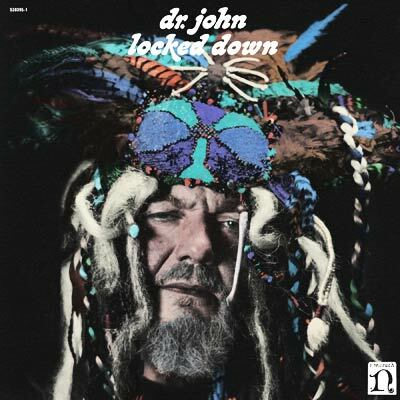 When I decided to pick Dr. John’s music for this month, I did it not only as a way of exploring the musical tradition of my upcoming city, but also in order to revisit jazz anew, through an artist to whom I was relatively unexposed. After a month, I can’t say that it has made me a jazz convert (I’ll probably always be someone who appreciates the artistry academically more than aesthetically), but I can say that the music of Dr. John has a wild exuberance that is impossible to deny. Listening to his music makes me want to sit in a tiny, smoke-filled bar with a bottle of whiskey and the band ten feet away. Live jazz certainly appeals to me more than the recorded form, and listening to a varied sample of Dr. John’s library shows why: As spirited and fascinating as the album tracks are, jazz music will always be about the excitement of exploration and instantaneous inspiration. Live jazz is where it’s at. Even so, Dr. John creates jazz that lives and breathes. It can be darkly beautiful like a Tom Waits song while as unconventional and confounding as the freewheeling Krautrock of Can. As a musical form, it doesn’t resonant with me in the same way my favorite artists do, but as artistic expression, it tickles my fascination like the best abstract artists so often do. Will I Buy An Album? I might. I’m not sure if any one album is considered the ‘definitive’ Dr. John experience, but I think if I was going to own one album by him I would select his debut, “Gris-Gris.” It’s thoroughly listenable from beginning to end and unlike a lot of jazz albums (and I speak only for myself here), I feel like each song stands on its own as an individual piece, fitting into the whole of the album without blending into one long string of indistinguishable rhythms. Plus, I feel like it would be an epic listening experience while walking the streets of New Orleans. Favorite Song: Individually, a lot of Dr. John’s songs are a blast, especially the ones that laud his hometown, like the celebratory “Goin’ Back to New Orleans.” But, if I was going to pick one stand out track for me, it would probably have to be the Gris-Gris closer, “I Walk On Guilded Splinters,” a cool, eerie piece of voodoo that just entrances. I imagine this soundtracking a long, solitary walk home through the streets of New Orleans at 4 in the morning. Spooky. *The music of Dr. John is clearly so much more than traditional jazz, and I don’t wish to be reductive; but jazz is the skeleton upon which most of his music seems to be built, so I’m using it as a frame of reference.